A Quiet Place - a newly released horror film about sound-sensitive monsters that hunt humans - is causing cinema-goers to shun their snacks. The film centres around a family trying to stay alive by living as silently as possible. It is directed by the star of the US version of The Office, John Krasinski, who plays a lead role alongside his real-life wife Emily Blunt. The script has very little dialogue and lots of dramatic (and quiet) tension. It has already topped the US box office, but is unlikely to be great for cinema popcorn sales, as people have been shaming other movie-goers for eating, or even breathing, too loudly during screenings. Could you brave an 'immersive horror' show? 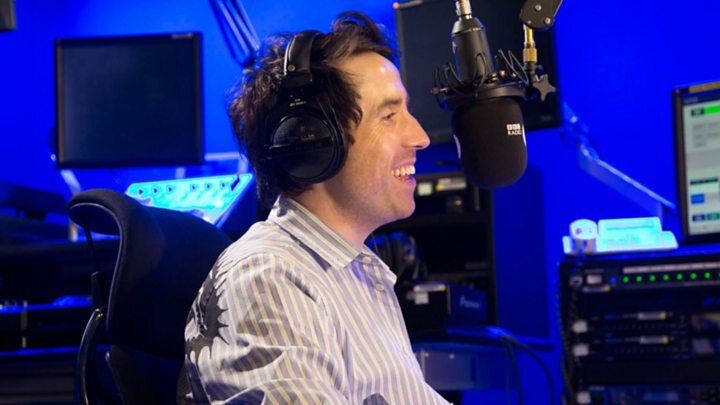 The BBC's Nick Grimshaw was one of those frustrated by nearby cinema snackers over the weekend. Here are just some of the posts on social media complaining about others crunching and munching their way through the film. Other users shared their own anxiety about chewing too loudly during the horror flick. A lot of people said the film was a unique, but positive, cinema experience and celebrated the film for using a real-life deaf actress for the daughter character. The film's creators have said they pushed for the casting choice on purpose. Actress Millicent Simmonds has been celebrated for her performance. The 14-year-old also starred in drama Wonderstruck alongside Julianne Moore. "She came to set and taught everyone sign language. It was really amazing and brought an extra depth to the film," said Scott Beck, co-screenwriter of A Quiet Place.